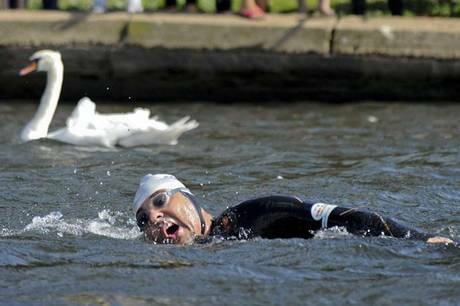 Actor David Walliams swam the length of the Thams River for charity and lived to tell about it. Put away your swimming costumes (translation: swimsuits) and goggles. The Thames is officially closed to swimmers by the Port of London Authority. Whose idea of a good time involves swimming in the polluted, not to mention freezing waters of the Thames (I know, I know, it’s not as polluted as it used to be …)? Well, there are “wild swimmers” who do enjoy fighting the strong currents and whirlpools of the Thames. Now they’ll need a permit for the pleasure. I think I’ll stick to the swimming pool. Posted on 2, July 2012, in News and tagged London, swimming, Thames. Bookmark the permalink. 1 Comment. Will you help us Save our History?